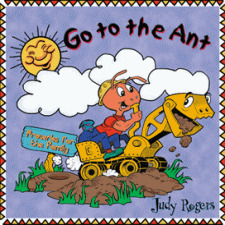 Go to the Ant is a collection of Proverbs in song for the family. God’s wisdom can now be musically rooted in hearts and minds through these Scripture-based melodies. These songs that teach Christian character. Each song on this CD teaches a lesson from the book of Proverbs.